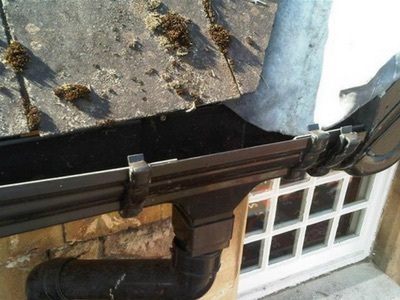 Gutters are designed to let rain water flow from your roof into your drains. By having a build up of plants, grass and dirt they can not do what they were designed to do. We can clear all the leaves, dirt and other debris from your guttering to ensure the water will flow freely and help them to function properly. This will prevent blockages which can damage your property. If the water can not flow freely in the guttering it has to find somewhere else to go. 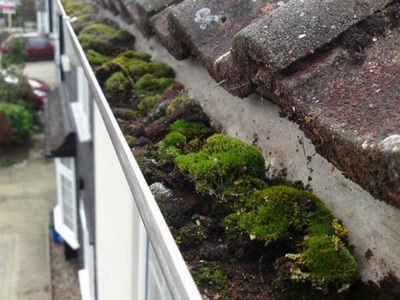 In some cases it can find its way into your roof which can cause major damp problems. … and of course, cleaning your gutter will stop those annoying drips! We have invested in a state of the art gutter vacuuming system. 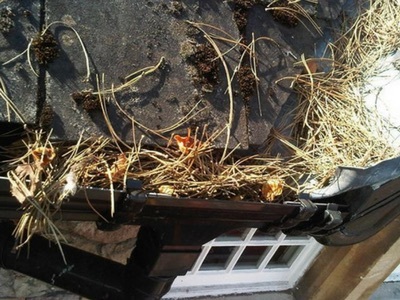 This enables us to remove the debris found in gutters from the floor safely to a height of 40ft. This means we can usually clear out guttering that has been deemed too awkward for ladder work. 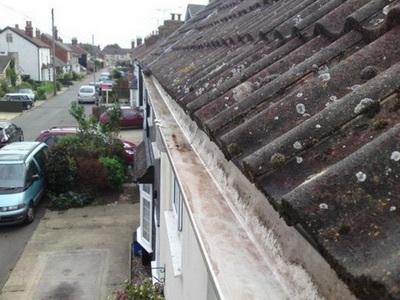 We can also provide you with a video of the gutters to prove they have been cleaned. The price varies depending on the location, height and how full the guttering is. Please contact for a quote. For an accurate quotation please contact us HERE. Can you get over Conservatories?